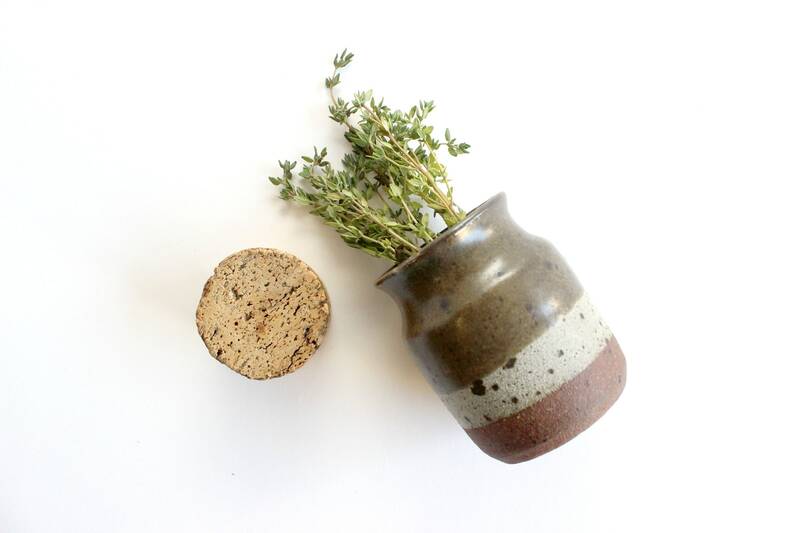 Beautiful vintage stoneware spice jar with sealing cork top. 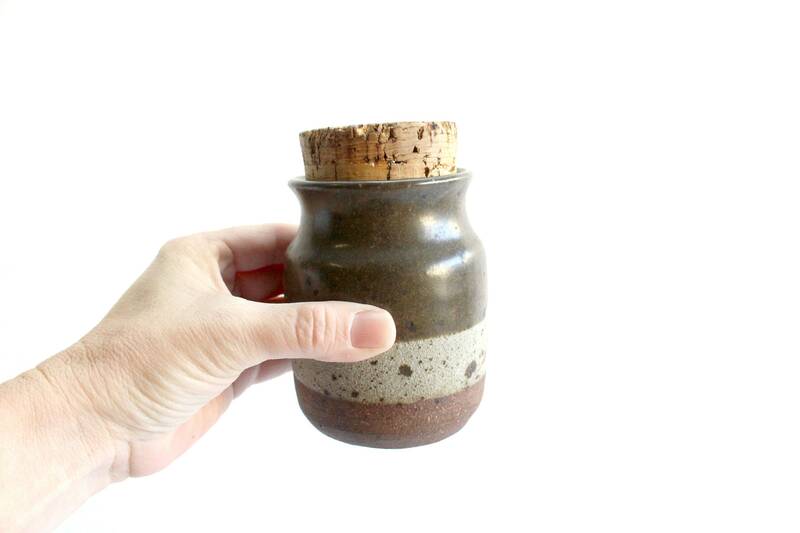 Handmade round jar with an interesting three tone color pattern. 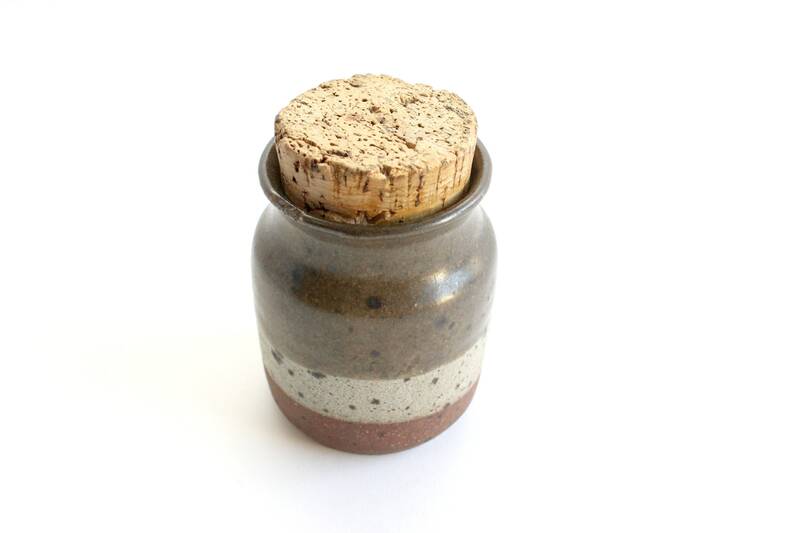 The top half of the jar has a smooth glazed finish and the bottom has a slightly rough texture. 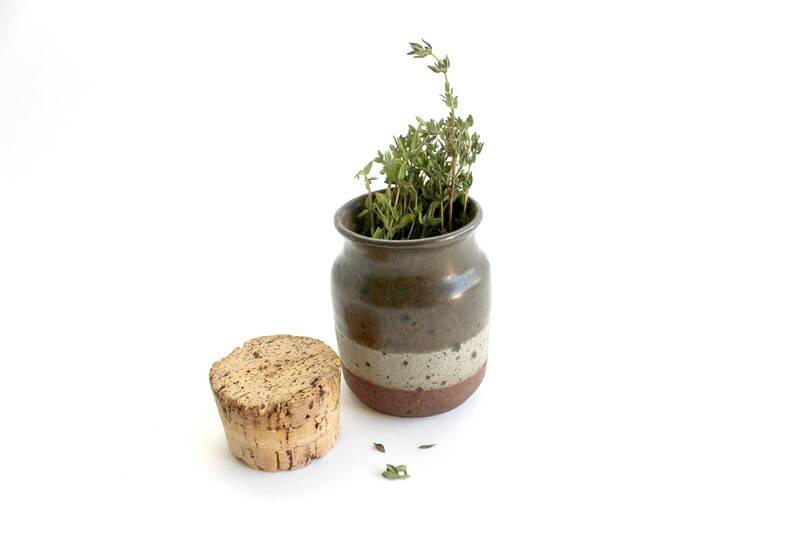 Lots of character in this little jar! No markings on the bottom. Good vintage/used condition. 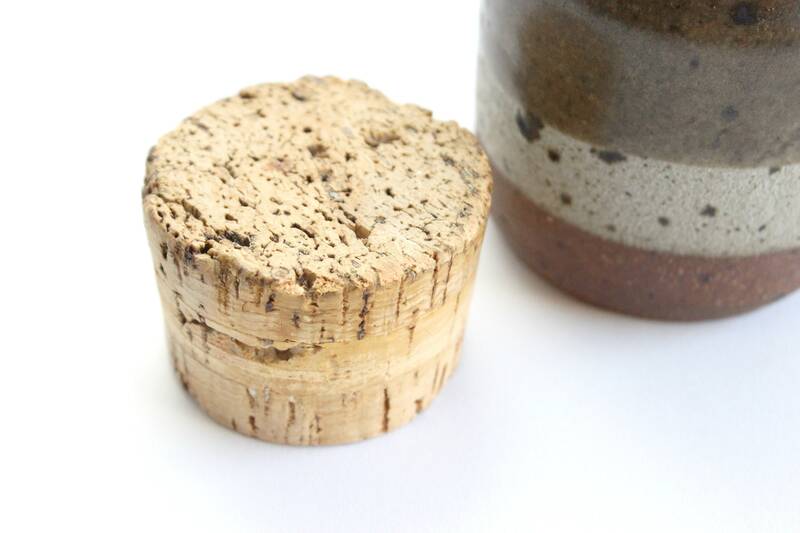 Cork has some wear and tear but still has a lot of good use! Natural imperfections can be seen. 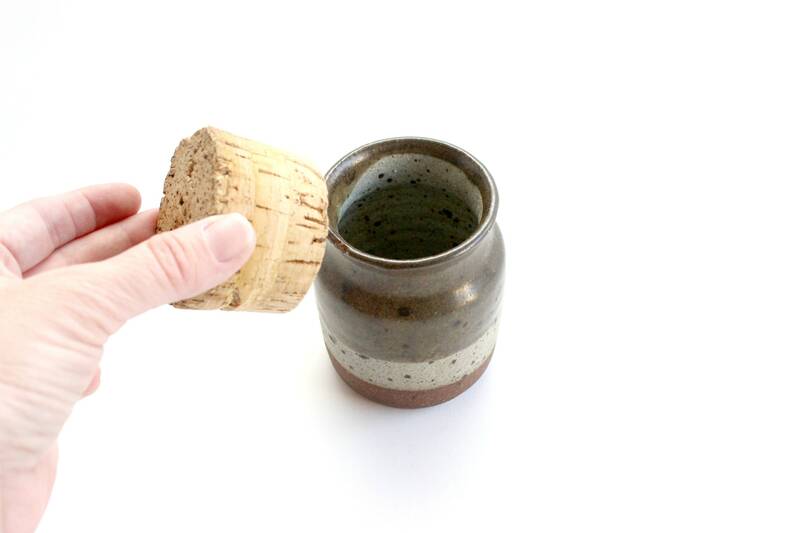 Measures 3 inches wide and about 4.25 inches tall with cork.